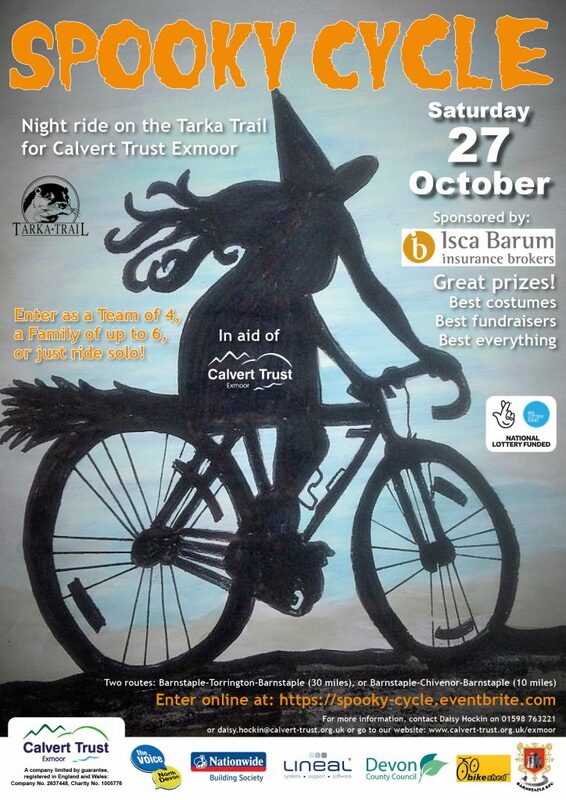 With the early bird ticket deadline fast approaching, Calvert Trust Exmoor is gearing up for its first Spooky Cycle night ride along the Tarka Trail on Halloween weekend, with several additional partners joining them in support of the event, including North Devon’s The Voice as official radio partner, Nationwide Building Society and Lineal Software Solutions. In addition to helping to promote the Spooky Cycle in the run-up, The Voice team is kindly donating their time on the night, with presenter Lisa MacKenzie providing the pre-cycle warm-up. The Spooky Cycle is open to all ages and abilities with access to a bike, and is a great family friendly alternative to trick-or-treating. In this inaugural year, entries will be strictly limited to 400 riders in total. Entrants are requested to open a JustGiving page or seek sponsorship from friends and relatives to help raise much-needed funds for Calvert Trust Exmoor. Barnstaple Rugby Club is the site of the start and finish line and will have food available throughout the evening as well as a licensed bar. There will also be prizes given for best costume, best decorated lid, and most illuminated rider. “We have been quite overwhelmed by the response to Spooky Cycle 2018,” Event Organiser, Daisy Hockin said. “So many companies have agreed to support the event or enter a team. Although it is a ‘Ride not a Race’, I think the companies will get competitive in terms of their fundraising – well, I hope they do! Spooky Cycle 2018 is kindly sponsored by Isca Barum Insurance Brokers and the Big Lottery Fund, with support from Devon County Council and Barnstaple Rugby Club. Early bird discounted tickets are available via Facebook or Eventbrite until 27th September 2018: https://spooky-cycle.eventbrite.com with individual entries starting at £10, family entries starting at £17.50 for up to six members, and adults teams of four starting at £25. Once you have bought your ticket(s), you will receive further event information from Calvert Trust Exmoor including a fundraising pack. And don’t forget to spread the word using the hashtag #SpookyCycle. 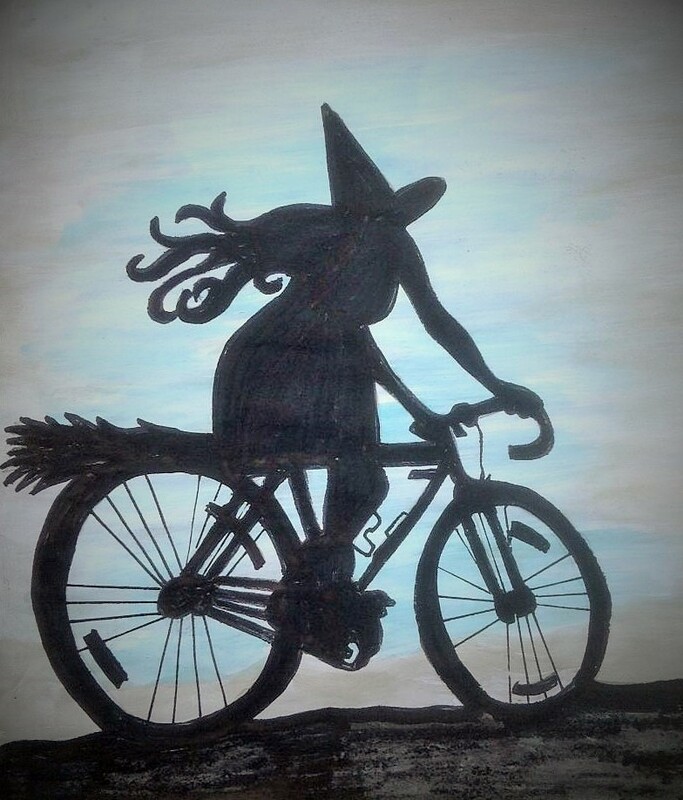 To find out more information about Spooky Cycle 2018, visit https://spooky-cycle.eventbrite.com or call Daisy Hockin on 01598 763221.